Voted the greatest film of all time in the 2012 Sight & Sound Critics poll. 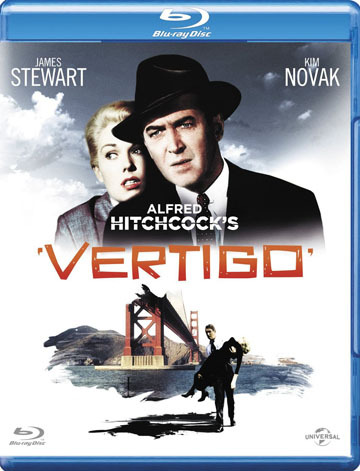 A former detective with a fear of heights is hired to follow a woman apparently possessed by the past, in Alfred Hitchcock’s timeless thriller of loss, identity and dizzying obsession. This classic from the master of suspense was so poorly received upon release that Alfred Hitchcock later withdrew it from distribution for several years. Its reputation has since grown and it is now widely regarded as Hitchcock’s finest film, a haunting examination of male desire memorably filmed in real San Francisco locations. The story of acrophobic Scottie Ferguson (brilliantly played by James Stewart), who compulsively remodels Judy Barton (Kim Novak) in the image of his dead love Madeleine Elster (also Novak), is unflinchingly dark and tragic. 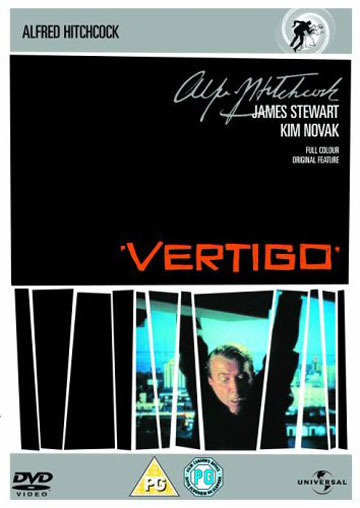 Though Hitchcock was originally deemed to have erred in giving away the film’s plot twist halfway through, Vertigo succeeds as a hallucinatory fable about the traps of desire. A thriller of dreamlike allure, it’s whipped to dizzying heights by Bernard Herrmann’s Wagner-influenced score.